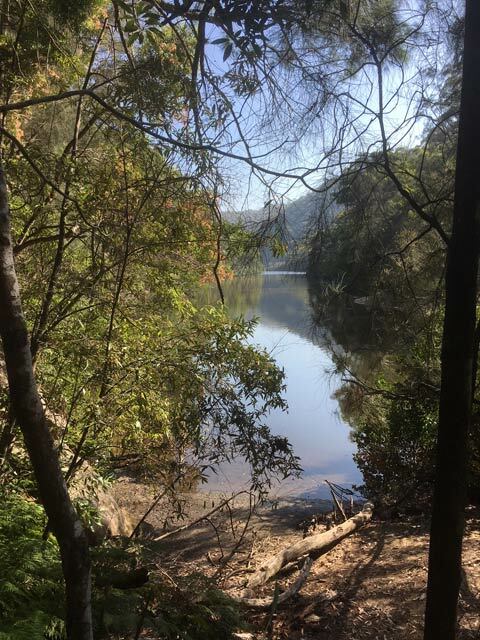 Walk description: A bus ride from Turramurra station will take us to the start of the Sphinx track and then descend to Bobbin Head where we will have morning tea. As a New Year treat the leader will provide morning tea (mystery gluten free tucker). 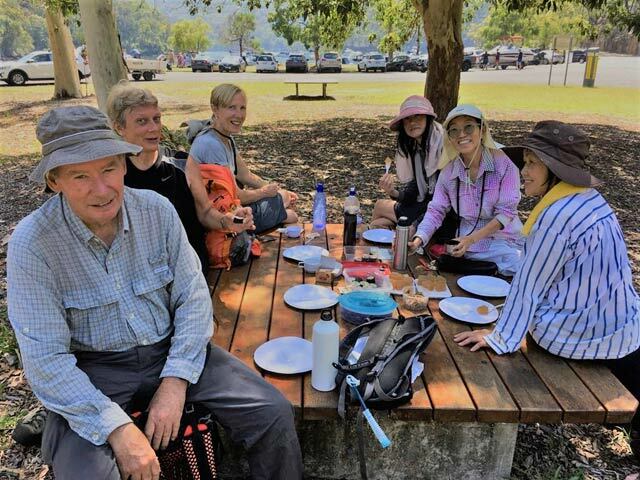 Our group of congenial walkers started at Turramurra station with a bus ride to The Sphinx Track and down to Bobbin Head. A rather hot and humid day resulted in a few members pulling out at last minute due to concern of heat which is actually not too unbearable as we did get a slight breeze and walking under shade for most of the time. The chorus from cicadas on the walk kept us entertained or annoyed, depending on whether you are a fan of this ‘official sound of summer’ which signifies that we are in the middle of summer heat. A morning tea provided by the leader consisting of sushi and ginseng tea, fresh cherries and water chestnut cake was enjoyed by all. After the rest at Apple Tree Bay the scramble up the pipeline track was handled well by all members, or was it the effect of the ginseng tea which is known for its energy boosting benefit? We finished the walk in good time and arrived at Mt Ku-ring-gai station with minutes to spare for the 12:30pm train.